Enjoy this discount on two of Buenos Aires’ most popular tours with this special Super Saver deal. 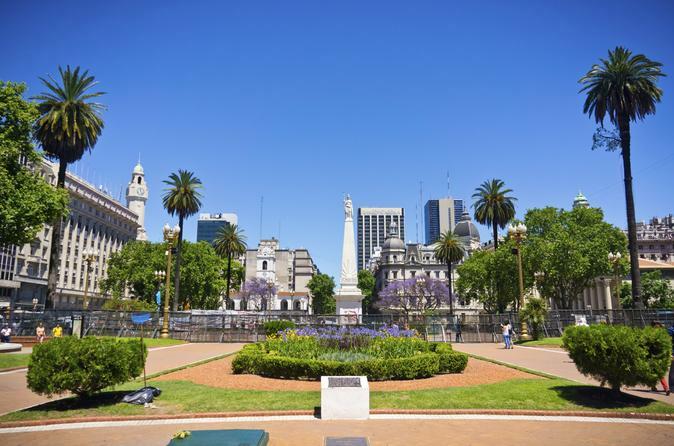 Discover the many faces of Buenos Aires on a 3-hour sightseeing city tour of colourful La Boca, historic San Telmo and lively Recoleta. After enjoying the afternoon free to explore independently, spend the evening at a wine tasting in glamorous Palermo, where you’ll sample six fine local wines and learn all about Argentina’s rich winemaking history. New to Buenos Aires? Absorb just the right mix of history and culture with this Super Saver. Enjoy breaks to stretch your legs during the coach tour, and you'll have the opportunity to buy unique Argentine wines not found in any other parts of the world and even ship them to your country!